These 1-inch thick pieces of lumber are unsung heroes, responsible for preserving & maximizing the value of your milled lumber. When you air dry your lumber, stickers & blocking (larger pieces of timber – often 4x4, to keep your stack up off the ground) facilitate proper & even drying. Using stickers & blocking, you are allowing air to flow under and through your lumber stack. What Happens When You Don’t Stack Lumber Properly? In short, you end up with expensive firewood at best. This less common method is favored by craftsmen. 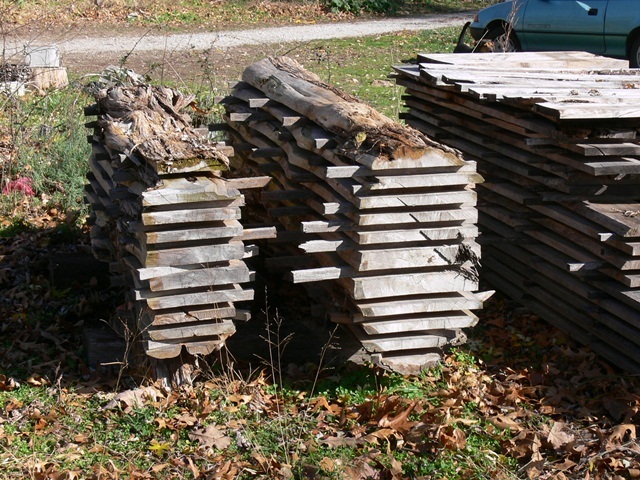 Here, your boards are stacked in order that they are milled, keeping similar grain & color together. Stacking this way would make it much easier for you to bookmatch. Stack in multiple layers. The video below demonstrates this method. - Dry your stickers prior to use to avoid sticker stain in lumber. Be sure all stickers are the same thickness. - Ensure all boards on the same layer are the exact same thickness. - Once your stack is complete, top it with something to shed water off the boards below. In the video below, Dave uses scrap boards to create a pyramid. Roofing tin is another option. Tarping is used by some, but we don’t recommend this as it can hold moisture in. - The rule of thumb for air drying is 1 year per inch thickness. If you are making all of your stickers at once, you should choose to sacrifice your ugliest log. Otherwise, you can produce a few stickers here and there by using scrap pieces that are too small for any other use. Watch the video below to see how Dave saws his stickers out of a post oak. 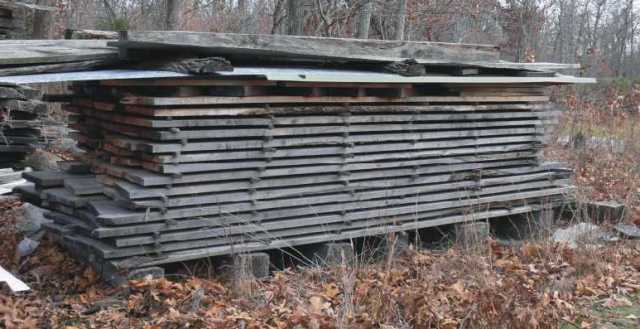 If left in the direct sun, many types of wood will grey over time. If you’re not planning to use a finish on these boards, it is best to keep them out of direct sunlight. One Norwood Connect forum member suggests using a landscaping fabric to create a large, breathable sunshade. 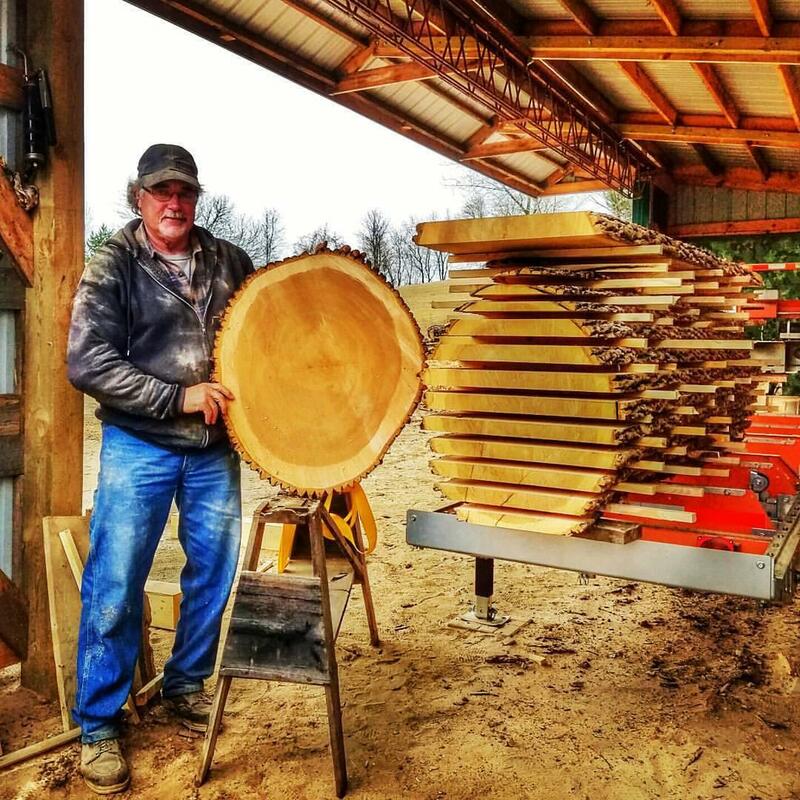 To find out what is working for seasoned sawyers, visit Norwood Connect. Here’s a thread with even more information on air drying lumber.